Everyone knows of the phenomenon It by Stephen King. The original film was produced in 1990, but times have changed a lot since then. Special effects are more advanced, and the characters are far more complex in the remake. 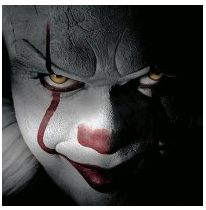 Pennywise has a far more sinister edge, marked by piercing yellow eyes and contorted movements, while it made the 1990’s Pennywise look cartoonish. Bill Skarsgård who plays Pennywise, said he even frightened the kids who were cast. In addition, it came out close to Halloween, which made it even spookier. So, Why Did Boo Grams Get Sold? Dyed Hair, Is it Fair?